The ordination process in the Diocese of Hawai‘i follows the requirements of the Canons of The Episcopal Church, outlined in Title III, especially Canons 5–10. You may download and review all of the Canons on this website's "Forms and Documents" page (scroll to "Legal"). Ordination begins with nomination of an individual by the person's congregation or other community of faith and continues with a period of formation, overseen by the Commission on Ministry. Throughout the process, the person continues to meet with a congregational Discernment Committee for support and ongoing discernment of God's call. The first step in the ordination process is discernment of the ministry to which God calls a person: layperson, deacon, or priest. The Commission on Ministry (COM), a diocesan body that helps in the discernment of ministry, has written a document that describes discernment, details what is expected in those to be ordained (and what they can and cannot expect), and outlines the ordination process. The document is "Guidelines for the Discernment of Ministry." Additional information about discernment can be found on the "Discernment for Ministry" page. For questions about the ordination process and about discernment, please contact the Rev. Alison Dingley, Chair of the Commission on Ministry. For questions about the administrative side of the Ordination process (templates, forms, checklists, etc), please contact Denise Esposito. Congregation's Nomination Letter for Vocational Diaconate. Congregation's Nomination Letter for Priesthood. Steps in the ordination process are summarized below. All of these steps, and more, are outlined, with boxes for checking off each step, in each of the "Path to Ordination" documents. There is one for the Priesthood and one for the Vocational Diaconate. Download the document and begin tracking your progress. A person experiences a sense that God calls him or her to ordination in the Church and/or the faith community experiences that a person in their midst shows signs of being suitable for ordained ministry. If the Discernment Committee discerns that the individual may be called to ordination, they write a report and present it to the Vestry or Bishop's Committee of the congregation. The report must specify whether the person is called to be a Deacon or a Priest. The Vestry/Bishop's Committee nominates the person for the ordination process and includes the Discernment Committee's report. The clergy in charge of the congregation must also endorse the person's proceeding in the process. Please see "Template Forms" on this page to download a template to use. The Applicant accepts the nomination and becomes a Nominee. 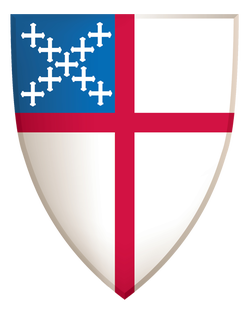 The Canons of The Episcopal Church specify a number of items that must be included. All of these items have been incorporated into an online form called "Acceptance of Nomination." After a period of time of formation, the Nominee applies for Postulancy. Please see "Template Forms" on this page to download a template to use. After a period of time of continuing formation, the Postulant applies for Candidacy. Please see "Template Forms" on this page to download a template to use. When the Candidate has reached a level of sufficient formation (though recognizing that formation is ongoing, even after ordination), the Candidate applies for Ordination. Please see "Template Forms" on this page to download a template to use. Please note that at each step, they are endorsed by their Vestry/Bishop's Committee. There will be meetings with the Bishop, COM and the Standing Committee. The COM must verify that the person is sufficiently prepared in the areas of competency required by the Canons of The Episcopal Church. These are different for Deacons and for Priests. A person may not be ordained until at least 18 months from the date of their initial acceptance of Nomination. This is specified by the Canons. If a person is called to the Priesthood, he or she will be ordained first to the transitional diaconate for at least six months. For more information about the distinction between transitional and vocational deacons, see the Community of Deacons page. Anyone considering, or nominated for, ordination to the Priesthood needs to consult with Bishop Robert Fitzpatrick before making a decision regarding the kind of formation they need and where they will obtain it. The Diocese of Hawai'i has a three-year program called Waiolaihui'ia, which is the Diocese's local formation program for the Priesthood and Diaconate. We are one of the participating dioceses in the Iona Initiative, a program based in the Diocese of Texas, which provides the curriculum for local diocesan programs for training bivocational priests and deacons. Students meet on ten residential weekends during the year and the cost is $2,000 per year to the students and the sponsoring congregation is expected to bear some of this cost. Download a fuller description of the Waiolaihui'ia program. The Application to Waiolaihuiia can be found HERE. Those nominated for ordination to the Priesthood may also consider attending a residential seminary. The Canons of the Episcopal Church has specific requirements for the formation of both Deacons and Priests: in other words, specific topics in which people are supposed to be "proficient" before they may be ordained. To help Postulants and Candidates in the ordination process keep track of their experiences and formation, the Commission on Ministry supplies a "grid" for each order, Deacons and Priests. Note that it allows for a variety of experiences through which someone may gain formation in a particular area.